Home → A Bakers & Barista's Blog → Have You Met Steve Yet? Steve, who has been baking ‘man and boy’ for about 35 years- despite his youthful appearance joined us in late 2016 and is a man who certainly knows his crust from his crumb. 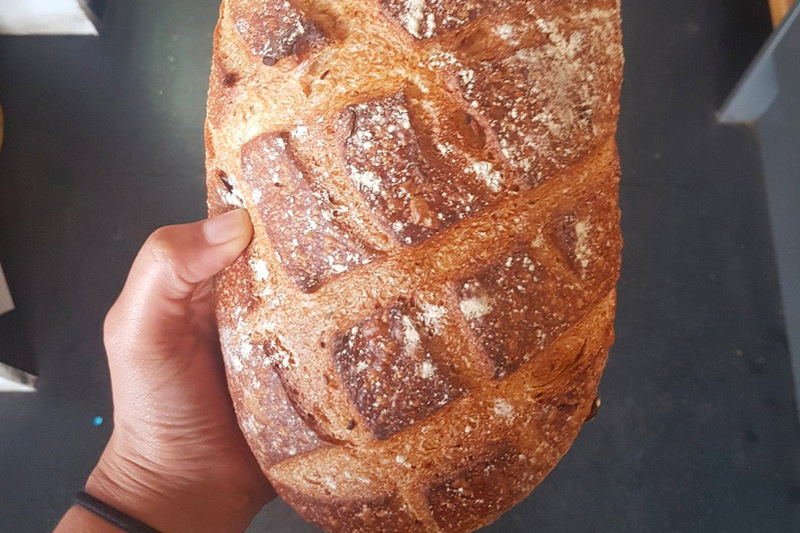 Ably supported by Tall Tom, Steve’s goal is to give us the greatest bread in Bristol … not only for our Topped Toasts but also to sell to our more discerning customers. Every day we produce a limited number of around 10 recipes for sale… but please remember when it’s gone it’s gone!